Bollywood actor Shah Rukh Khan has teamed up with Avengers superheores Captain America, Iron Man and Thor to solve a riddle in Dubai as part of a promotional campaign for Dubai tourism. The 53-year-old actor has been featured in a series of videos that are part of Dubai Tourism's #BeMyGuest campaign. The fourth video starts with Shah Rukh reading a riddle: "With hammer, shield and armour, Earth's mightiest heroes gain their power." Khan then visits the IMG World's Of Adventure, an indoor amusement park, and helps a woman find her lost son. He wins a prize that says "on all the walk to everything you need, the white hat is your guide". The engraved metal piece brings him the second coin. Towards the end of the video, we can see Khan continuing his quest, asking "There are three hidden coins in Dubai.... Where do you think I should go for the last one?" #BeMyGuest campaign consists of a series of films which adopts a storytelling approach, shot across iconic locations and sites in the posh Middle Eastern city, providing audiences compelling reasons to visit Dubai. 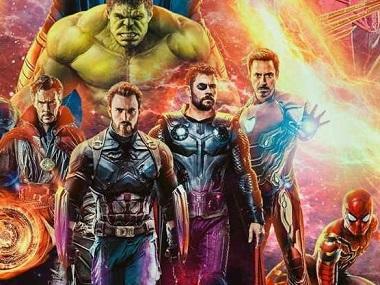 The highly anticipated upcoming chapter in the Marvel Cinematic Universe Avengers: Endgame will be released in theatres on 26 April.